Prescription Drugs are Extremely Effective in Quitting Smoking. Prescription Drugs Might Be for You! There are two prescription drugs on the market at the moment aimed at helping the smoker quit. They are; Zyban which is the marketing name for the drug Bupropion and Champix (Chantix in the USA) which is the marketing name for the drug Varenicline. I know many people who have used these drugs and have quit successfully. I took Zyban and had side effects similar to the symptoms of someone suffering from Parkinson's Disease which frightened me so I stopped taking it immediately. The side effects caused me to have anxiety attacks so I became very stressed out about the whole process - which any smoker knows just makes you want to smoke! I have a couple of friends who took Zyban and had no side effects at all. My father took Champix and had no side effects - he gave up smoking relatively easily and told me that he wished the drug had been available years earlier because unfortunately Dad gave up late in life at the age of 70 and he now suffers from emphysema. Both of these medications may be worth trying if you are not suffering from depression and are not taking any other medications that may interfere with either the effectiveness or cause side effects. In Australia Zyban and Champix are subsidised by Medicare but only once. 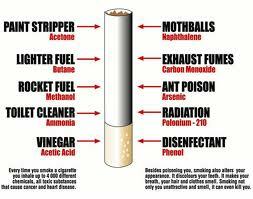 When you are quitting smoking you have probably already given a lot of thought to the many toxins and chemicals contained in cigarettes and it is for this reason that you may be concerned about introducing more chemicals into your system. It is a frightening reality that our bodies have lived day in and day out with hundreds of chemicals being inhaled and then circulated through our system. I found it disturbing that I was then taking another chemical (or batch of chemicals) to help me quit. I was so focused on being healthy it just didn't seem right to take a prescription drug in order to get there. However, it is also worth noting that if you take either Zyban or Champix the time that you are on these drugs is relatively short as they are reasonably fast acting when you consider the length of time that you have been a smoker. If you take a nicotine replacement product you will be taking it for a lot longer than you would one of these prescription medications. It is also important to know that these drugs have been thoroughly tested and endorsed unlike cigarettes which - for some strange reason - the cigarette companies are allowed to include any chemical they like and no one says a thing about it! Everyone I know who has taken Zyban or Champix has gained weight but simply because the food tastes better now that they are not smoking. 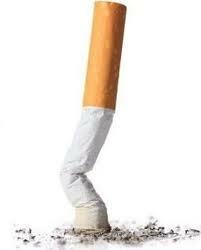 Surely it is a small price to pay if it means you are going to successfully quit smoking. It is a decision you have to make and not lightly. But at the first sign of any nasty side effects you should stop taking the prescription drugs immediately. Return from "Prescription Drugs" to "How to Quit Smoking"